Filipinos from all over Australia converged at Novotel Hotel in Perth, Western Australia from October 19 to 21, 2018 for the 15th biennial FILCCA Filipino national conference . This year included a Youth Summit which saw the younger generation’s active participation in the event and who clamored to speak and be heard. 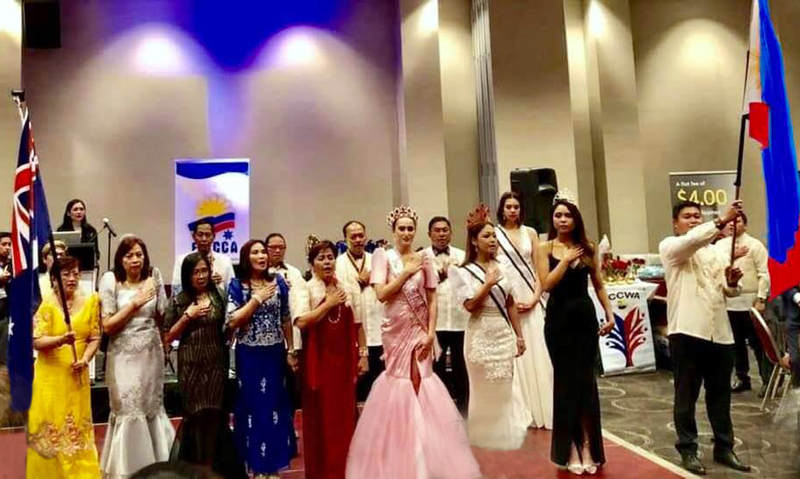 Dante Maribbay, outgoing FILCCA president led the Filipino Community Council of WA (FCC-WA) in hosting the successful three day conference which was packed with activities, information and culminating in the glitz and glam of the Gala night. It was a meeting of minds and a free-flowing exchange of ideas. There was much fellowship, non-stop chats, laughter, banter and bonding amongst Filipinos. 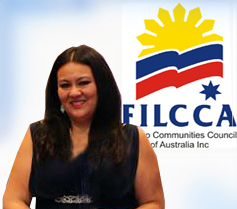 Making FILCCA history was Carmen Garcia, the youngest and first Australian born Filipino elected as FILCCA president. A multi-award winner and a managing director of her own company, she is driven and focused. She hopes to lead FILCCA into a new direction. “The Filipino community is the third largest Asian community and the sixth largest ethnic group and I hope to lift the profile of Filipinos in Australia” said Carmen. “This is my community, my people and it’s time Australia gets a chance to really see the impact our hard working, compassionate, entrepreneurial and collaborative generosity contributing to this country,” she added. L-R: Consul San Agustin, Carmen Garcia, Roberto Garcia, Cecille Wheare, Veronica Pantos, Ben-Hur Winter, Serna Ladia and Cecille Flores. Other newly elected FILCCA officers include: Cecile Wheare, Vice President External (Vic. ); Roberto Garcia, Vice President Internal (QLD); Veronica Pantos, VP Youth Affairs (WA), Ben Hur Winter, Secretary (SA); Serna Ladia, Treasurer (NSW); and Cecilia Flores, PRO (ACT). FILCCA officers are elected for a two-year term. Issues and concerns tackled were: Citizenship and migration; Lobbying and Advocacy; Age Pension portability, housing, youth and women empowerment. Past FILCCA President, Dante Maribbay thanked the outgoing officers for their help and also acknowledged those who have contributed to the organisation over the years. 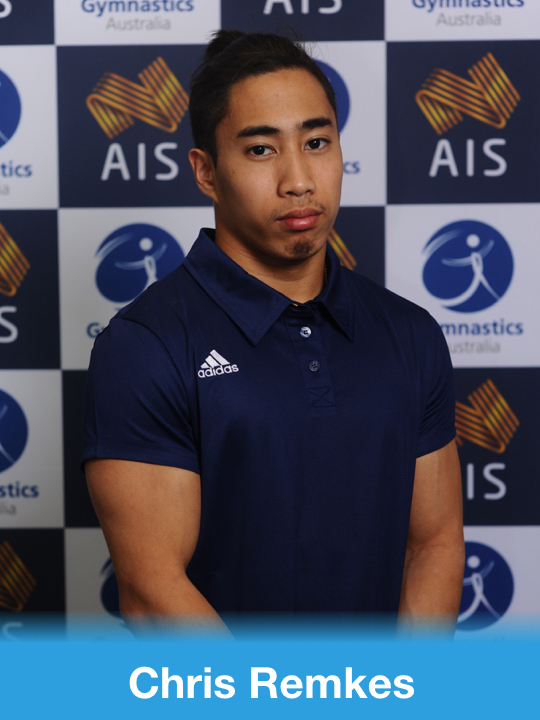 Filipino-Australian of the Year Awardee for his achievements in Gymnastics. In addition to the awards, the Gala night highlight was “Filcca’s Got Talent” segment which sees representatives let their hair down for more lighthearted performance moments. Winners of the talent quest, was Segundo ‘Boyet’ Vasquez, a guitar virtuoso and the Philippine Community Council of NSW (PCC-NSW) won first prize for their well costumed, Sister Act Dance presentation. Talent winners: left, PCC-NSW’s Sister Act dance presentation.and right, Segundo “Boyet” Vasquez. The event was sponsored by Western Union, Philippine Air Lines, Western Australia Tourism, Perth Convention Bureau and Castleglen Food Products. 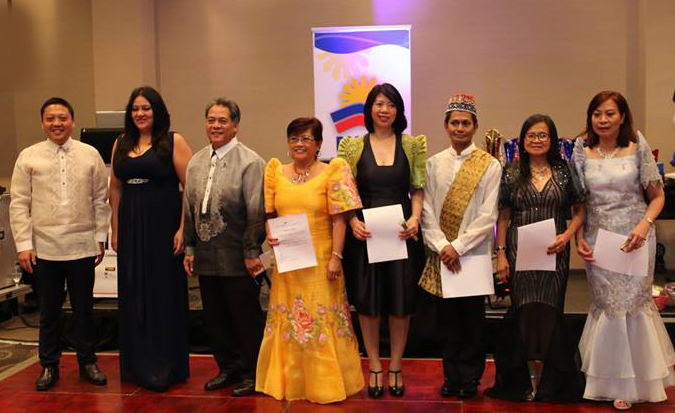 Since its establishment in 1990, FILCCA has been recognized as the national peak Filipino community organization looking after the interests of Filipinos in Australia. It includes representation from the Filipino Councils of all States and Territories. The next FILCCA conference will be held in Adelaide in 2020.